(Isiaki Rabiu and Sons) (IS/LVB) (Lagos) 2002 - 2013. Photos. Framable Color Prints and Posters. Digital Sharp Images. Aviation Gifts. Slide Shows. 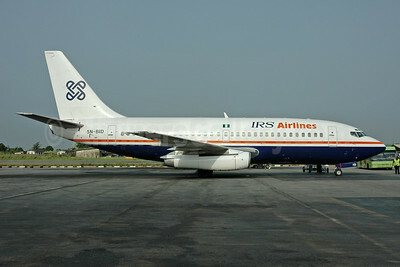 IRS Airlines Boeing 737-25A 5N-BID (msn 23791) LOS (Bruce Drum Collection). Image: 945609. 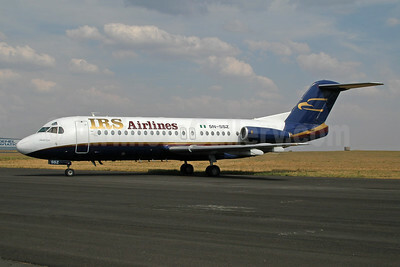 IRS Airlines Fokker F.28 Mk. 0100 5N-COO (msn 11297) JNB (Bruce Drum Collection). Image: 945611. 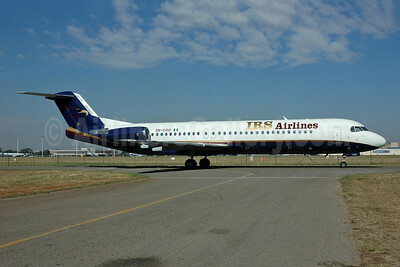 IRS Airlines Fokker F.28 Mk. 4000 5N-SSZ (msn 11190) JNB (Ton Jochems). Image: 945610.